Vonn, White and Shiffrin told some short stories about their lives in animated videos posted by NBC Olympics. 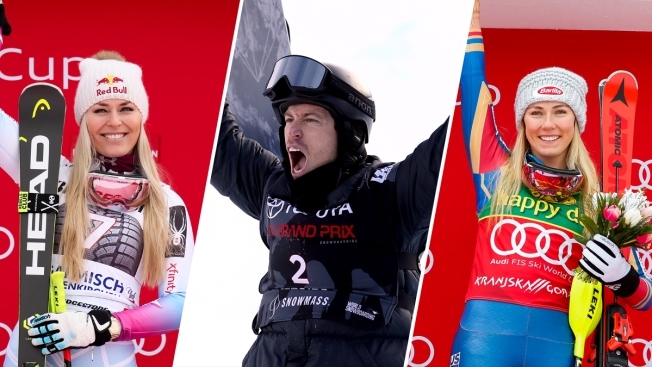 The NBC Olympics Twitter page has posted short, animated videos of Olympians Lindsey Vonn, Shaun White and Mikaela Shiffrin telling funny and intriguing, personal stories about their lives. She reminisced on how she put Parmesan cheese in her sister’s hair and duct-taped her brother to a basketball hoop. White talked about his pre-competition routine and proved how deep in the zone he can get. Once before a halfpipe event he reached down to adjust his boots then felt a strange jab. “I was like what is that? Something very awkwardly just sticks me in the ribcage,” he said. Turns out it was a satellite TV remote from back at his hotel.